Fantastic Ranch-style Townhome in Sunpointe! Attached two car garage*Wonderful floorplan with 2 main floor bedrooms and main floor study*Great kitchen features beautiful granite counters, range, microwave and refrigerator*Gas fireplace*Vaulted ceilings*Skylights offer natural light*New furnace*Finished basement includes 2 bedrooms, full bath, rec room and built-in bar*End unit with large trees and private deck*Awesome amenities include community pool, tennis courts and hot tub! 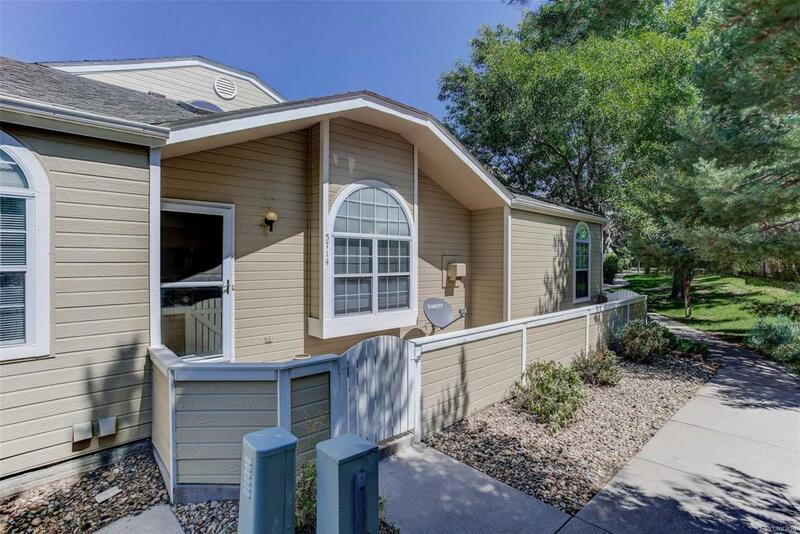 Commute to downtown Denver and mountains is a breeze!